Surprise, surprise! It’s a Thursday again! Like previous Thursday’s, today I am wearing a blazer/trousers combination. 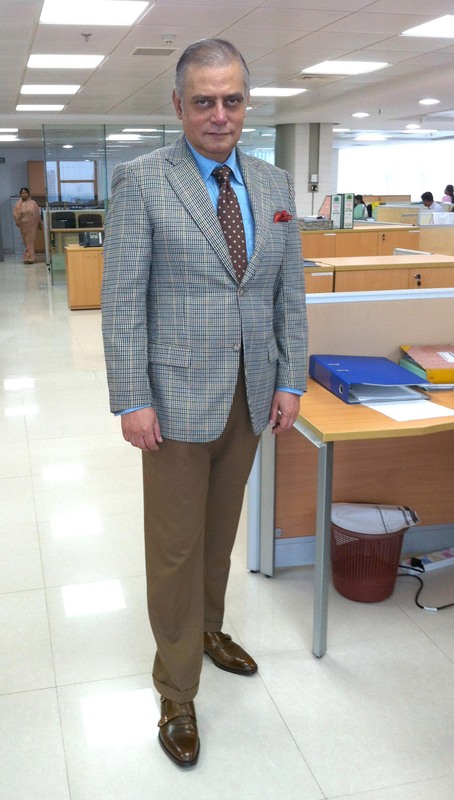 The checkered blazer I am wearing today is 2-button, notch-lapel version; paired with a brown trousers with folded cuffs. The shirt I chose to wear today is a blue with black and white windowpanes. Today’s brown tie has small white woven flowers. 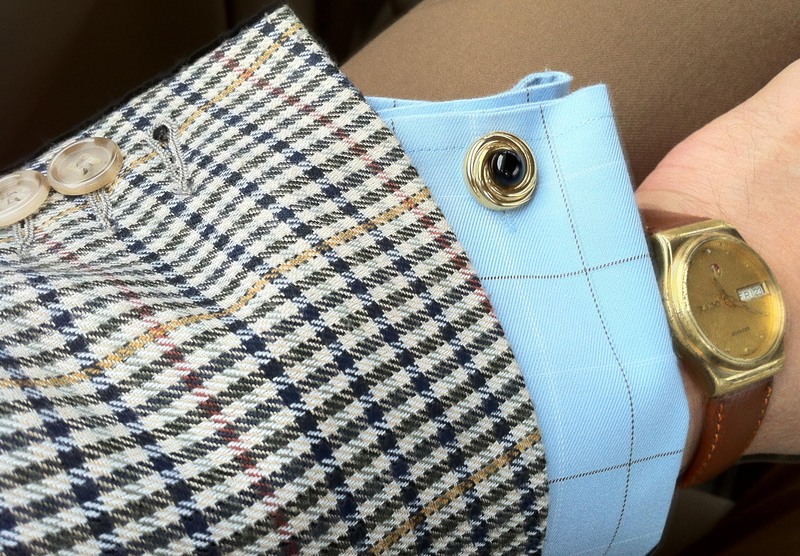 The printed pocket square has read, black, and traces of yellow on it. 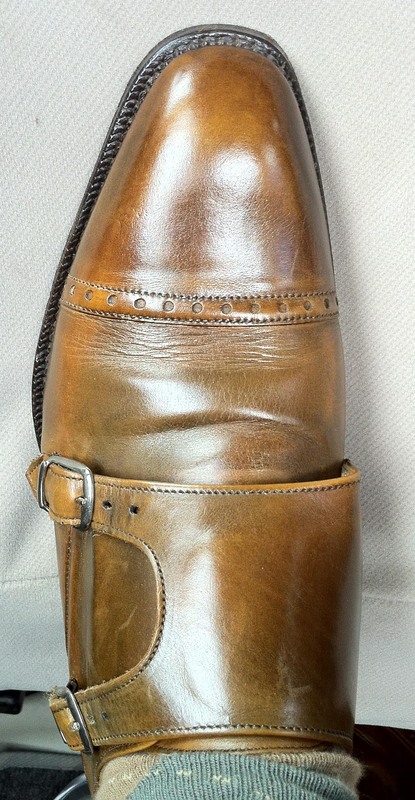 I am wearing a pair of brown double monk strap shoes today. 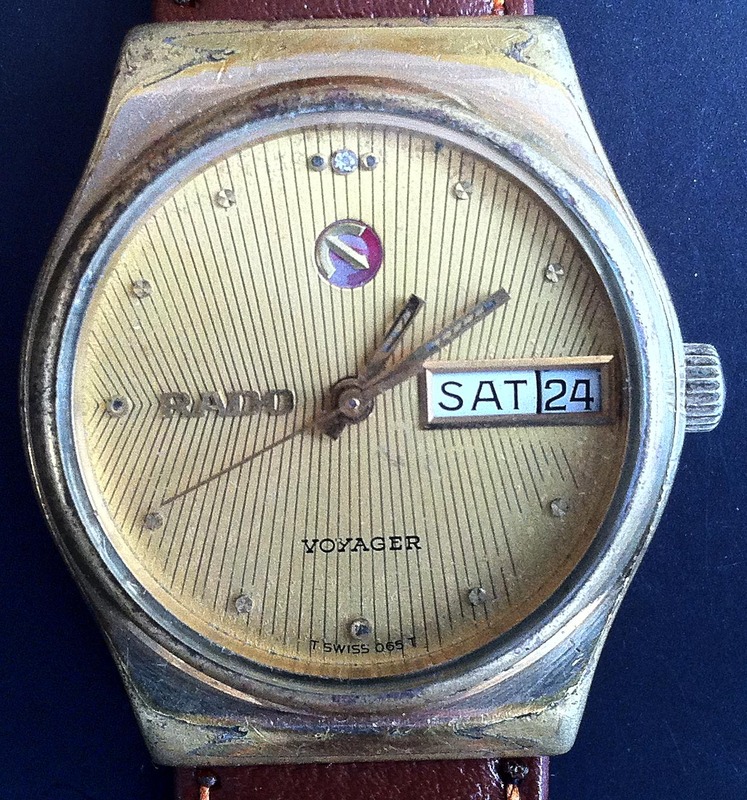 And finally, today’s watch is a 1960 vintage, gold plated, RADO, Voyager, with day and date. 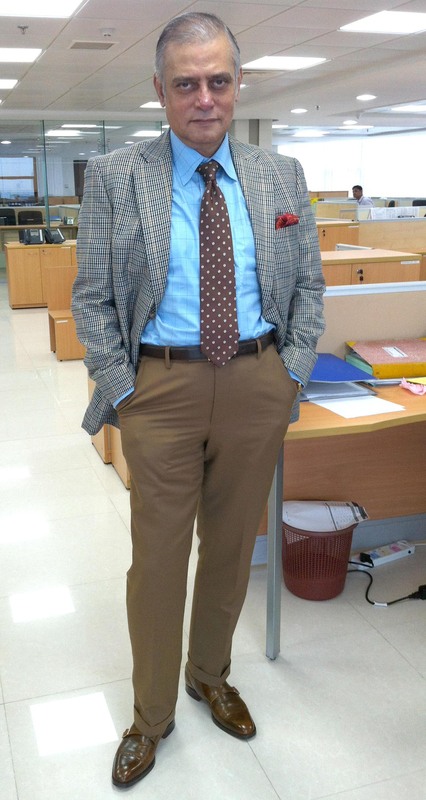 Like rest of the days this week, today also I am wearing four patterns: 1. Check suit, 2. Windowpane shirt, 3. Patterned tie, and 4. 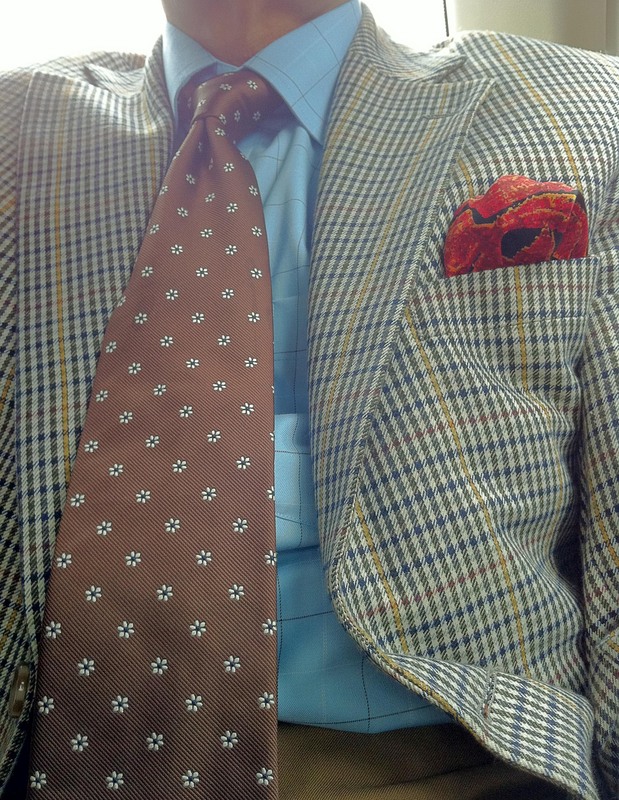 Printed pocket square. 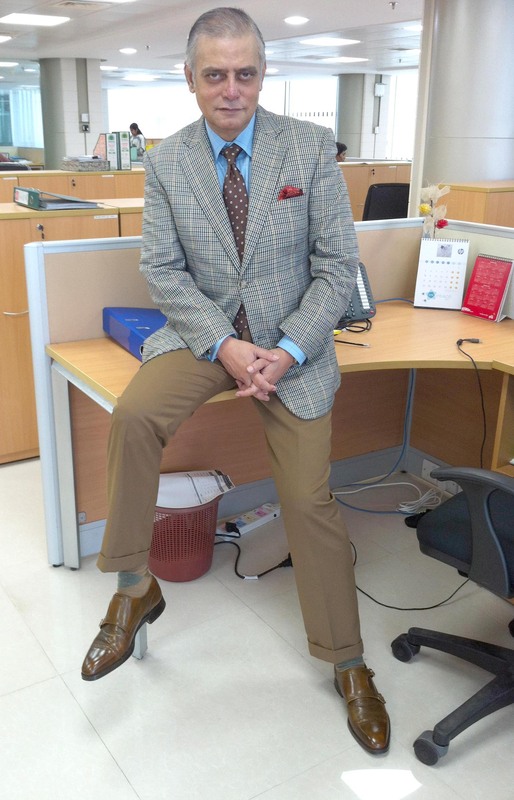 Unfortunately, I don’t seem to own a checkered or striped pair of trousers. now that’s a classic stripe, Great combination. Really surprising Chacchu. Very nice look. Everything Unparallel !!!! the amount of research and work that has gone into the making of this blog is just phenomenal.